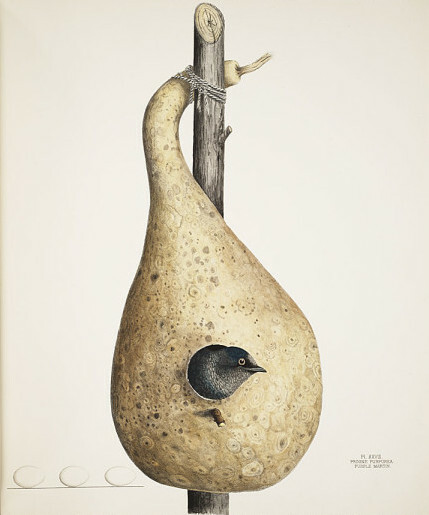 In 1876 Genevieve Jones returned to her small town in Ohio after being inspired by the great Audubon bird illustrations she had seen at the Philadelphia Exhibition. She shared a love of natural history with her father and brother and as part of her home schooling, her mother had taught Genevieve to paint with watercolours. It was her hope to produce a book that would complement the work of Audubon. 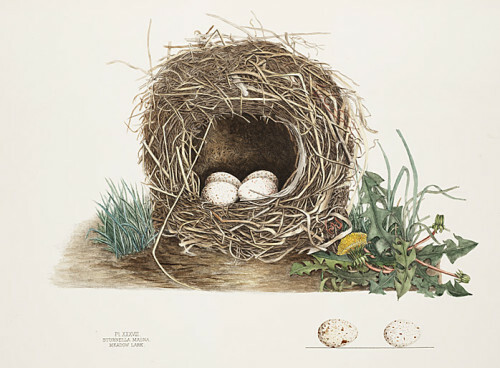 Together with a childhood friend, Eliza Jane Schulze, Genevieve prepared double-sided lithographic stones with the intention of documenting all the nests and eggs from birds in the Ohio region, funded by her father. Her brother collected the samples for illustration and wrote up field notes. The first 65 pound lithographic stone was sent 50 miles away for printing into a subscription series in 1879. It was received with overwhelming enthusiasm and was fully subscribed. But Genevieve died soon after from typhoid fever. She had only finished 15 lithographs and her mother then hired colourists to assist in producing the illustrations for the 100 subscribers as a tribute to her daughter's memory. It took 7 years for the complete series to be released. 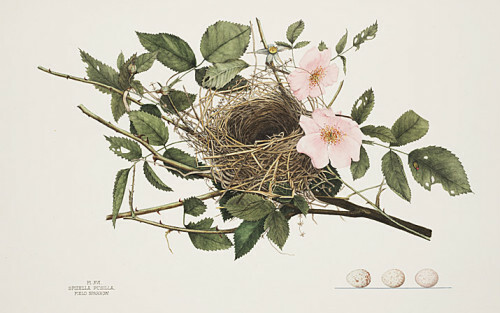 30 of the 130 plates from 'Illustrations of the Nest and Eggs of Birds of Ohio' have (so far) been posted online at the Smithsonian Institution. It's a great website with an interesting display and background information about the series and Jones family. This is an opportune moment to share this link - The Tale of a Red-Winged Blackbird - regarding the restoration of a damaged original Mark Catesby painting. 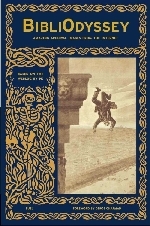 As a purveyor of digital images which are consumed in split seconds - as they are for me too - I try to occasionally remember that I owe a debt of gratitude to the armies of people who curate, maintain, digitise and upload all the rare (and not so rare) book images we are privileged to observe online. I thought this was a thoroughly well written and interesting piece. The magnitude of the work required in restoration is amazing. I tip my hat in their general direction.